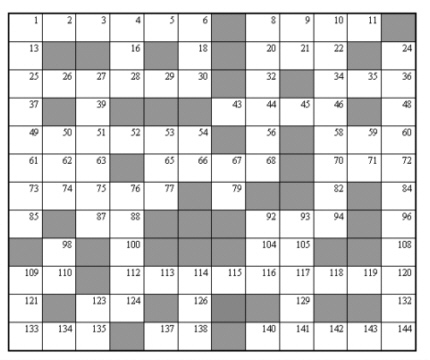 Click here for an easy print version of the puzzle. Click here for the solution to the puzzle. ** Carly Svamvour is a freelance writer with twenty years of experience. Her articles, essays, poetry and short fiction, have appeared in several print and online publications. Most recently, her poem "Zap Tracks" appears in the new online publication, Anima-Animus. She and her husband, Jeff, have been publishing Wild City Times, a print and online magazine, slanted toward the outdoors of city life, since 1996. She leads a writers' workshop in Toronto at the High Park Library and keeps an online group going for writers and other fans of the magazine. She moderates the Fantasy Critique board for Inkspot Forums, which is now managed by Writers BBS. Carly is a regular contributoor at Themestream.com, where she enjoys sharing her passions for nature, photography, gardening, astrology and other subjects of general interest to her readers. She especially enjoys sharing the puzzles she creates, by using the words of varied themes. Check Themestream.com and Wild City Times, for more of Carly's puzzles. Carly makes her home in Toronto, Canada with her husband Jeff and a cat named Bobby McGee. You can reach Carly by email at: wildcity@vif.com.